I secretly dream of being able to do this. I would be a dream come true. To climb the towers, to crawl under the pipes, get the steam. Capture the men at work. Tell a story that's never been told. For now I'll send these vibrations out into the universe that one day I would be able to, freely for the company in a unique way, capture the Refinery in the very way I see it everyday. I dream of this day until then I enter the confined of the Refinery with my EI&CSE ( Electrical, Instrument and Computer System Engineering) Cap on, take stops along the highway and while I do my evening jog capturing nature and the lights in the distance. And try to stay out of trouble. I am encouraged to observe the beauty in my everyday surroundings especially when my wanderlust nature to travel cannot be satisfied adn I am left grounded at home. 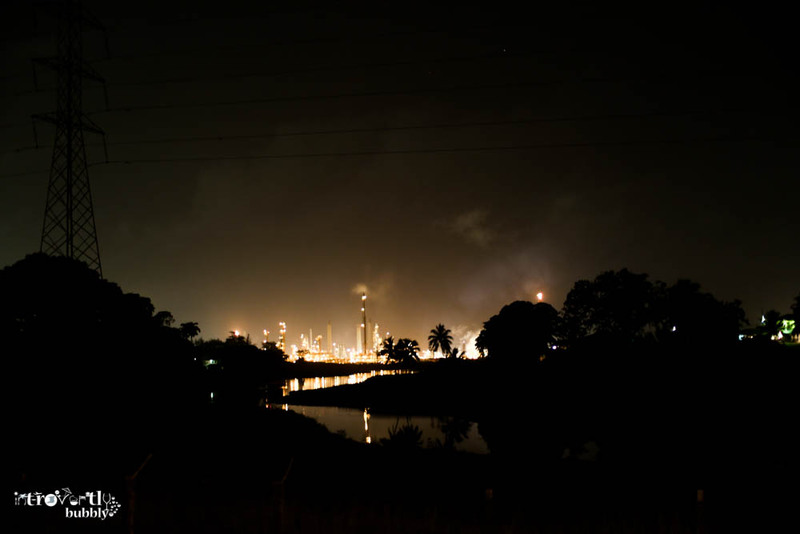 With Love from the highway looking West toward the Petrotrin, Pointe-a-Pierre Refinery.